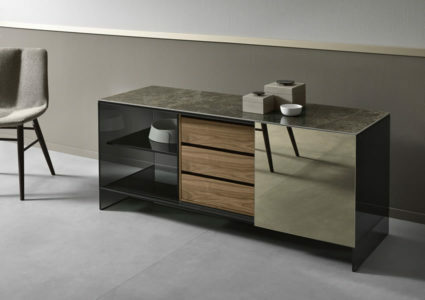 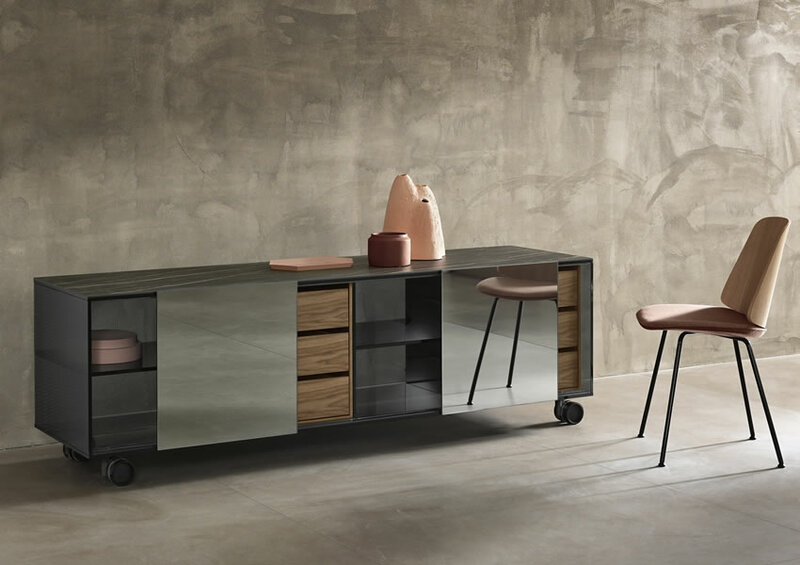 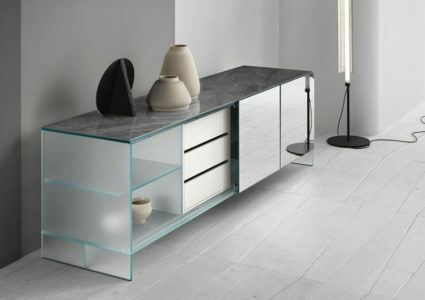 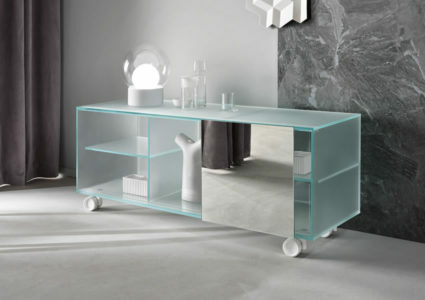 Glass dresser or container on castors or fix base in different heights and lengths. 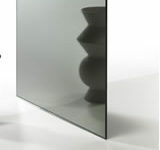 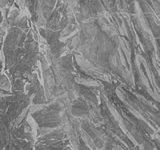 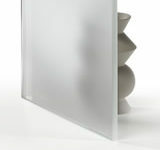 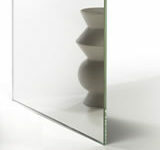 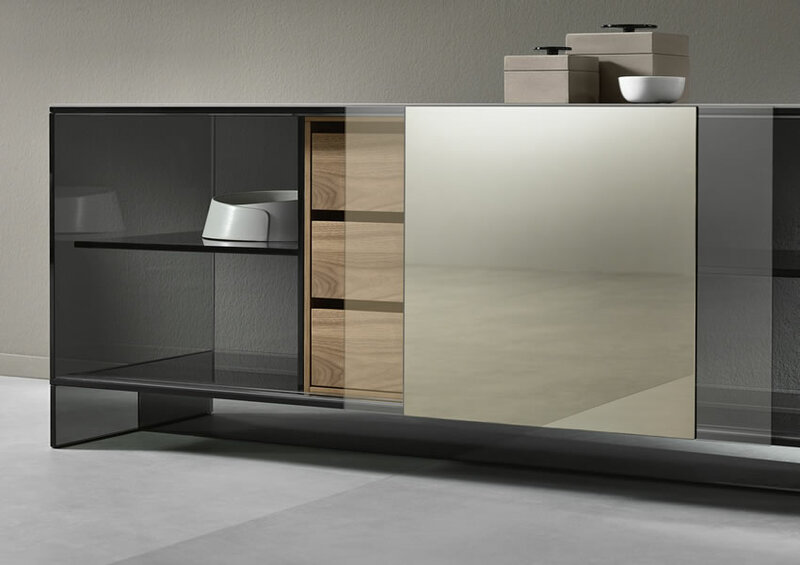 The structure in smoked or extra clear frosted glass is provided with sliding door/s in different mirror finishes. 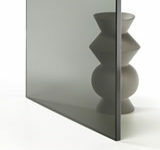 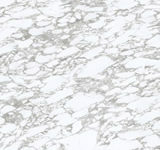 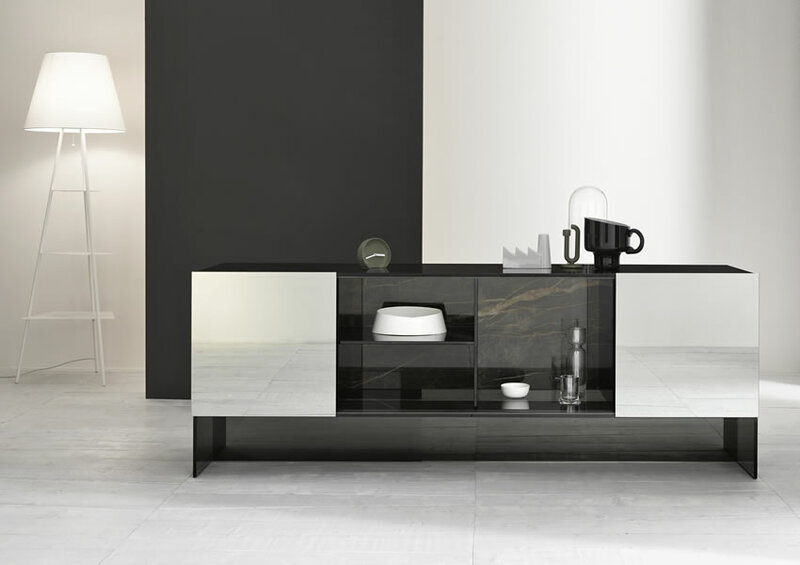 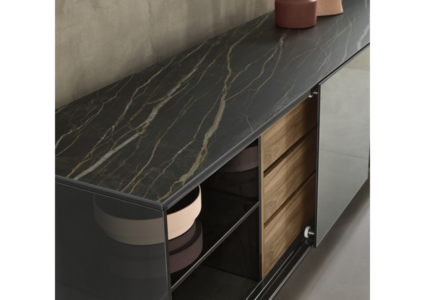 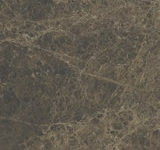 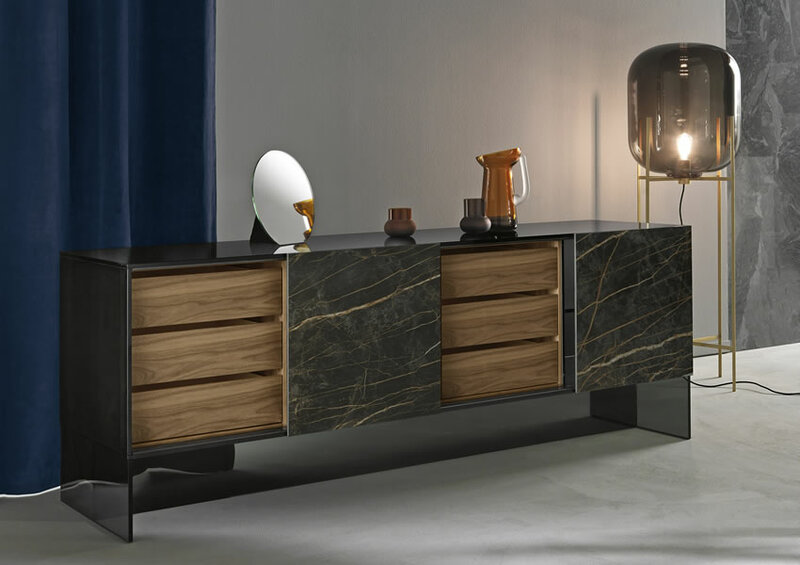 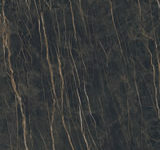 Top, back, door/s may be in ceramic, available in several matt or polished finishes. Optional chests of drawers in walnut canaletto or matt white.